Dr Joseph Manitta is the Head of Haematology and Malaria reference laboratory for the state of Victoria. He commenced at Fairfield infectious diseases hospital in 1972 as a qualified haematologist and was rapidly promoted to senior haematologist in charge in 1974. He expanded the discipline of haematology to include immunohaematology, haemostasis, immunology and microbial serology. He has been a National Association of Testing Authorities (NATA) assessor since 1986, foundation member of the Venerology Society of Victoria, and a member of Australian Institute of Medical Scientists (AIMS) and the Australian Society of Microbiology (ASM). 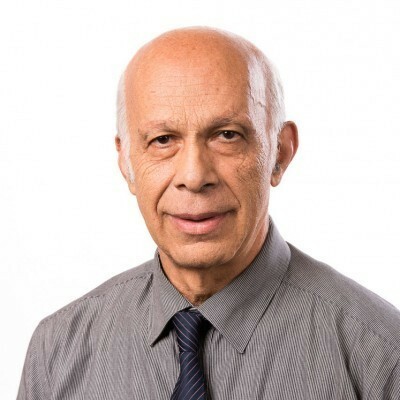 He has been involved in various part time teaching programs at the RMIT university of Medical Science and Discipline of Laboratory Medicine for the past three decades plus guest lecturer to the Victorian haematology registrars in blood parasitology and haematological aspects of infectious diseases. In addition, he has been an invited guest speaker and workshop organiser at various AIMS, Australasian Association of Clinical Biochemists (AACB), ASM and Royal College of Pathologists of Australasia (RCPA) national conferences. Joseph was instrumental in setting up and managing the Victorian State Reference Laboratories for Syphilis Serology and Legionella Serology in 1975 and 1978 respectively, and the National High Security Laboratory in Diagnostic Clinical Pathology in 1982. In 1985, he attained recognition for the State Reference Laboratory for Malaria Speciation and Allied Blood Parasites in Victoria. With the advent of AIDS in 1984, he expanded the immunology department and introduced lymphocyte subset analysis by flow cytometry for the monitoring and treatment of HIV patients. In 2009, he was awarded the George Swanson Christie Memorial Award by AIMS for ‘being an inspiration to others through his ongoing commitment to excellence in the field of medical laboratory science’.